Reza Rejaie is currently a Professor at the Department of Computer and Information Science at the University of Oregon. From October 1999 to March 2002, he was a Senior Technical Staff member at AT&T Labs-Research in Menlo Park, California. Reza received a NSF CAREER Award for his work on P2P streaming in 2005. At UO, Reza has founded Multimedia & Internetworking Research Group (Mirage). 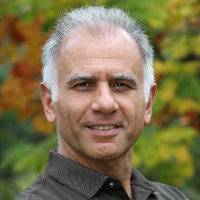 In the research community, Reza is on the editorial board of IEEE Communications Surveys and Tutorials, Journal of Advances in Multimedia, and Springer Journal in Peer-to-Peer Networking and Applications. He has been the TPC chair for NOSSDAV'07 and Global Internet '07, and served on the program committee of many conferences including INFOCOM, Internet Measurement Conference (IMC), ICNP, Global Internet, IEEE Multimedia, ACM Multimedia, MMCN, NOSSDAV, ICDCS, Packet Video, and Web Caching Workshop. He has been a senior member of both the ACM and IEEE since September 2006. Reza received his M.S. and Ph.D. degrees in computer science from the University of Southern California(USC) in 1996 and 1999 respectively. During his graduate study at USC, he participated in several projects at USC's Information Sciences Institute(ISI), the Computer Networks and Distributed Systems Research Laboratory and the Database Laboratory. He completed his B.S. degree in Electrical Engineering at Sharif University of Technology, Tehran, Iran, in 1991. Reza Rejaie's research interests includes peer-to-peer networks, multimedia networking, network measurement, congestion control and content distribution networks. IonP2P: empirical characterization of peer-to-peer systems.